Teff is a gluten free flour, which is particularly fiber rich and nutritious. Lately, I have used teff for various types of baking, including waffles. It worked out fine, since the recipe included eggs. But how will it work if there is no eggs in the waffles? The last weeks and months I have explored how the ancient Ethiopian grain teff works in cakes. Teff flour is highly nutritious, with a high content of fiber, proteins and minerals, it is the staple food of Ethiopians, and most importantly here, teff is naturally glutenfree. 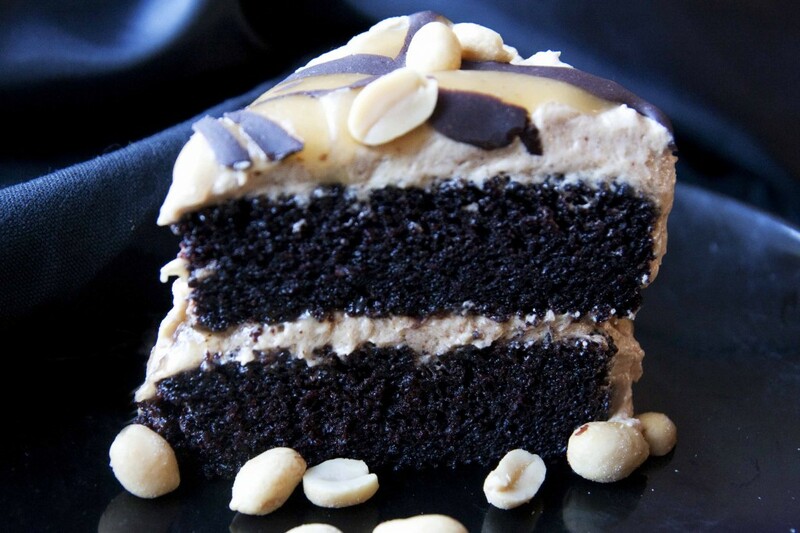 Dark chocolate cake with peanut butter cream! Aquafaba, what is its chemical composition? Frie kaker. Kunsten å bake supergode kaker uten melk/mel/egg/sukker.